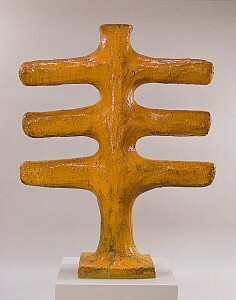 Among his earliest large-scale sculptures, Vertical Sculpture, Spear Form evokes a prehistoric totem. 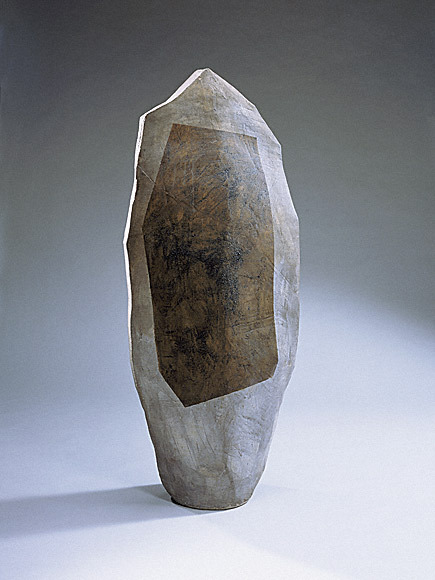 Its glazed surface exploits the qualities of the clay material to at once express organic imperfection and the clean forms of geometric abstraction. 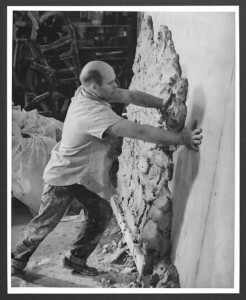 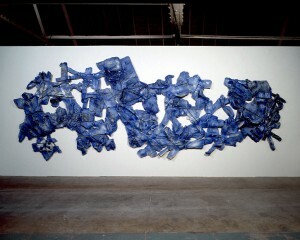 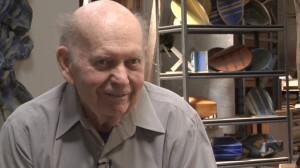 Mason began working primarily in clay while attending the Otis Art Institute from 1949 to 1952. 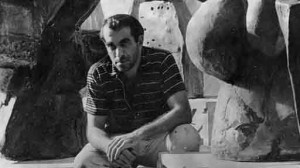 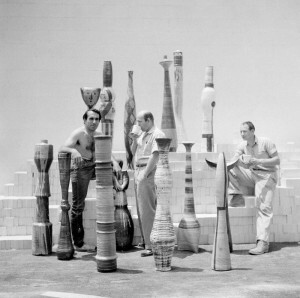 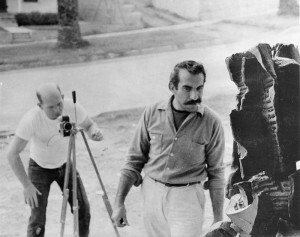 Working closely with Peter Voulkos and his circle of ceramicists, Mason developed an art of monumental forms that suggest a keen attention to sculptural presence. 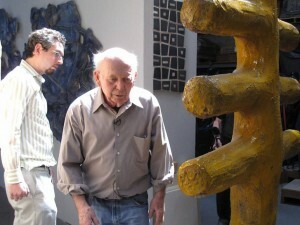 Exhibition audio: John Mason and Getty curator Andrew Perchuk talk about Mason’s sculpture.